There are two very great reasons to celebrate today..
First, it’s Friday which is always a cause for celebration in my book. Also, it’s the first day of the #NSale opening to the public!! 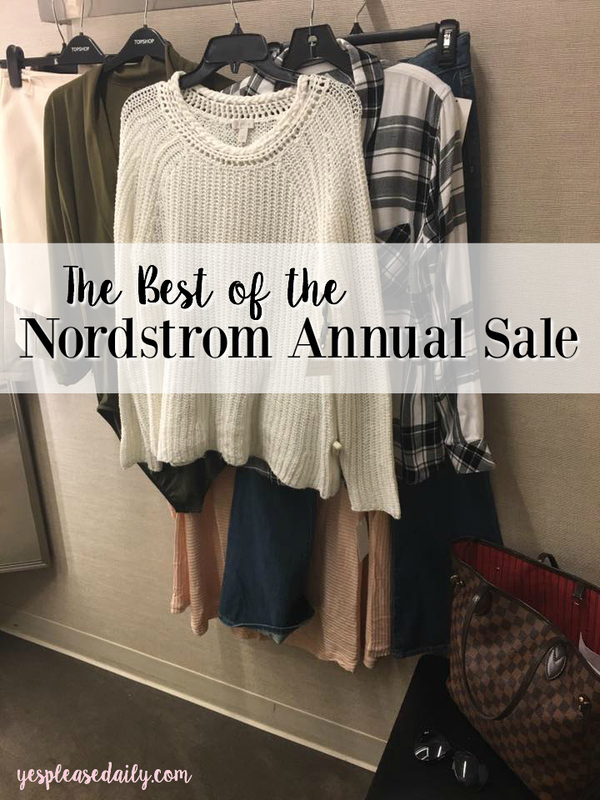 In case you’re not familiar with the NSale, I’ll fill you in.. Nordstrom hosts an annual sale, unlike other sales where stores try to clear out the end of the current season’s leftover items to make way for new season product, this sale is releasing Fall 2016 items and marking them down. 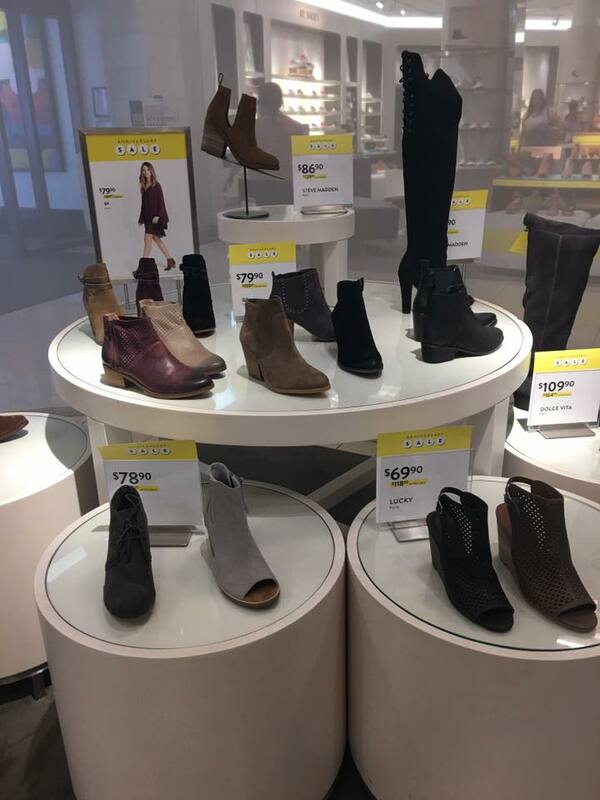 Major, major markdowns. 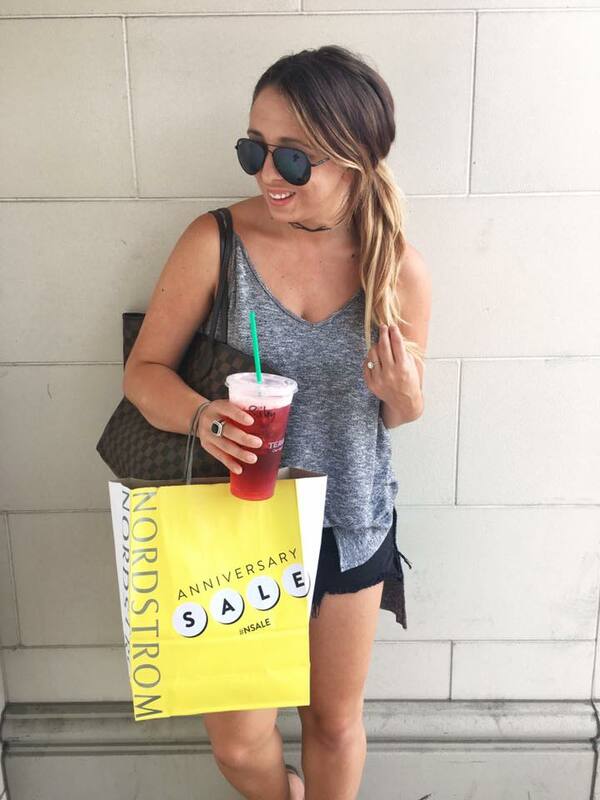 Like Tory Burch over $150 off + more designers like Rebecca Minkoff, Free People, J Brand and many more. It’s the perfect time to stock up on all your Fall, Winter & Holiday season needs while saving major bucks. 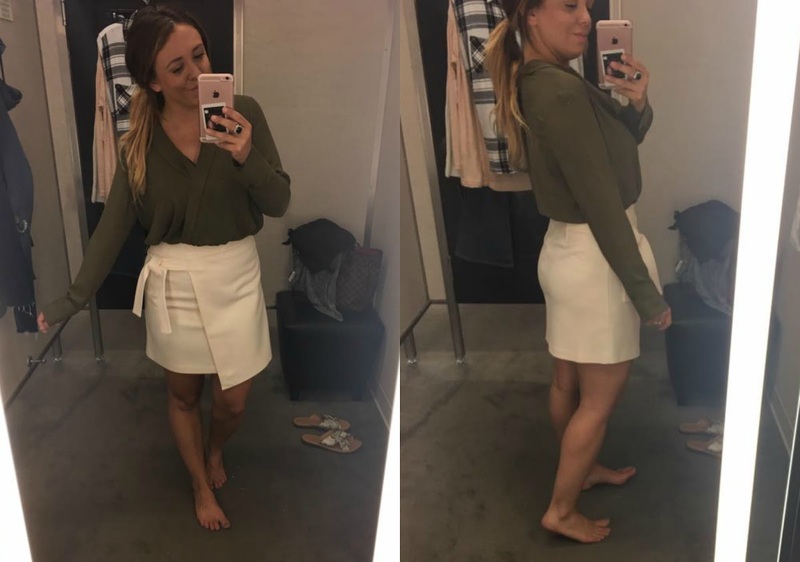 Unfortunately, neither Chattanooga nor Memphis have a Nordstrom & while I ordered a bunch of stuff online, I wanted to stop on my trip and check out some sizing of products and if they’re actually worth the hype. I was skeptical of the sale at first, I thought surely it wasn’t worth the hype but I was so, so wrong. It’s amazing y’all. I had my eye on this Free People number for some time. I LOVE the open back. It’s definitely a piece I can wear now with shorts and transition into fall with denim + layers. It comes in four colors but I would size down like I do with most FP pieces. 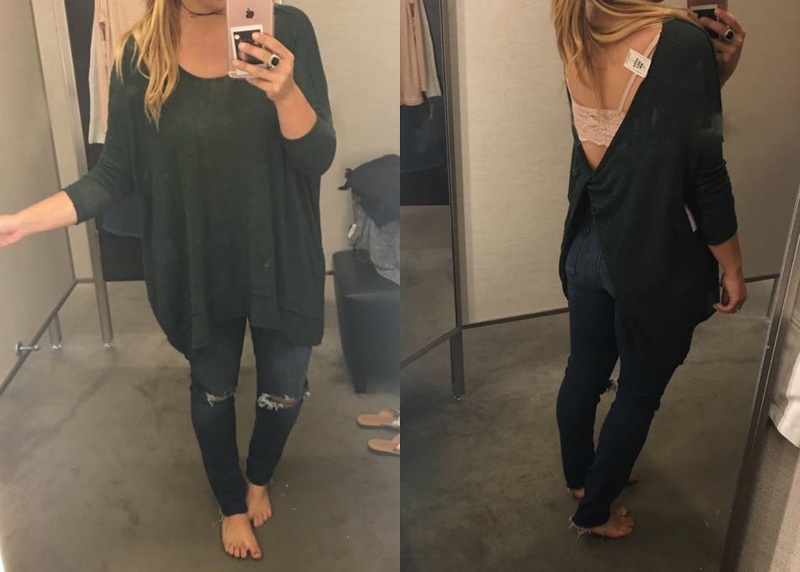 This FP top isn’t included in the sale but the price tag is so low for Free People I thought that it was! 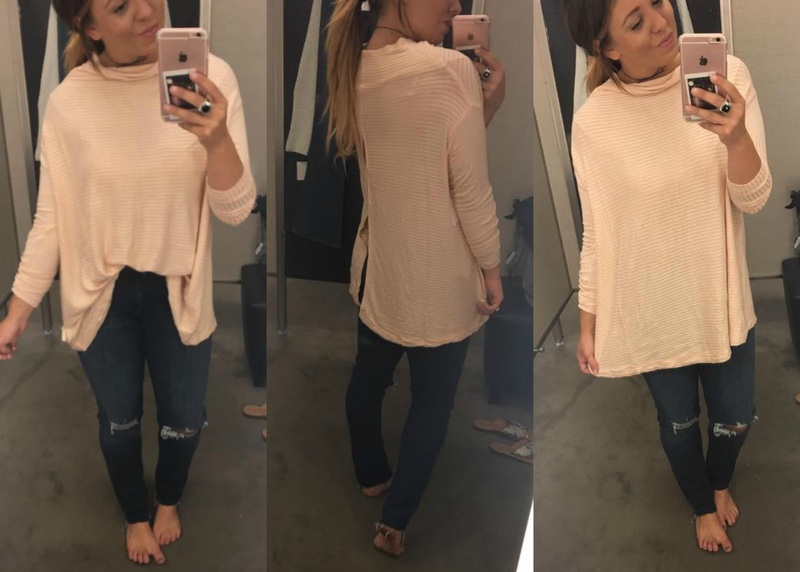 It’s so soft and comes in many colors, unlike the first top I would not size down. These jeans are incredible. Perfectly distressed and the frayed hem, A+ in my book. I wanted to try a more ‘formal’ look for y’all. 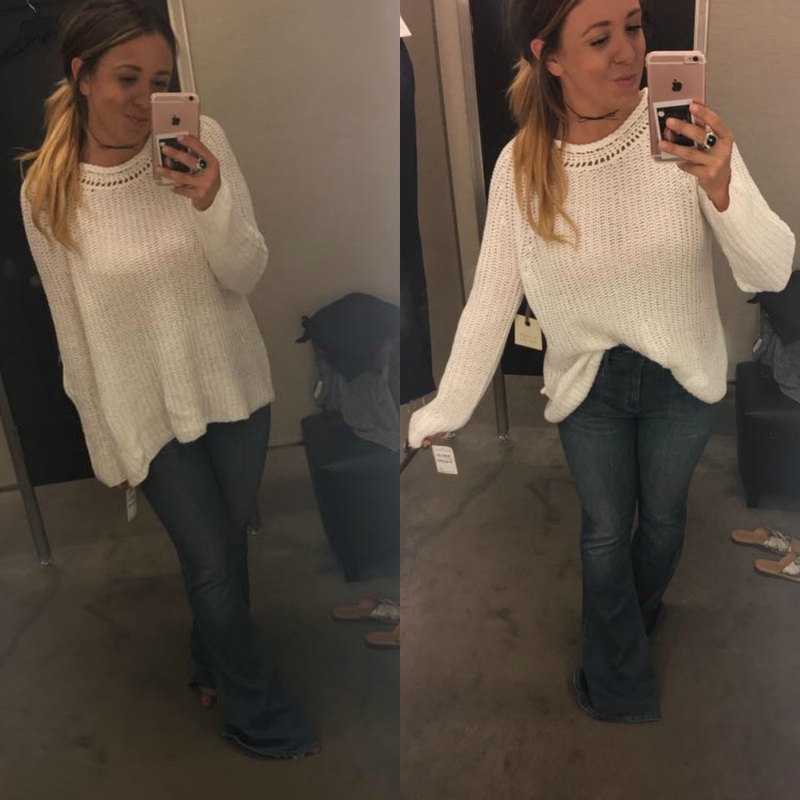 This is not my typical style but I am needing to add a few pieces like these to my wardrobe. I like how they can be worn together formal or paired with dressed down pieces for a more casual look. The blouse is actually a body suit which is neat + the jacket is under $100 right now! Size up for the skirt, I’m wearing a small in the jacket & TTS in bodysuit. 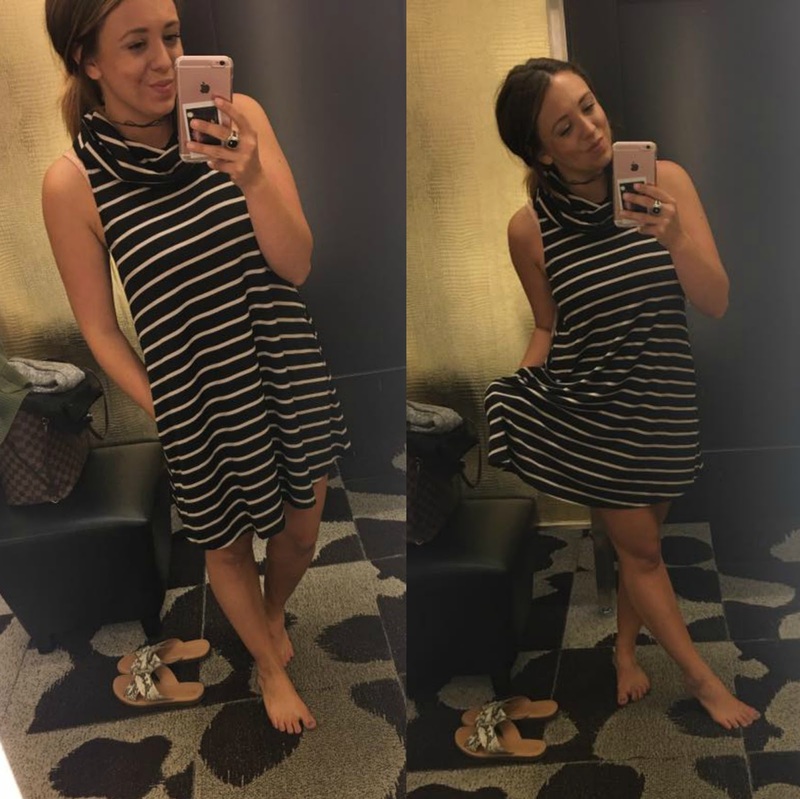 This dress (true to size) may be one of my favorite pieces in the sale. There are ten colors and patterns.. TEN. It’s only $24 and best of all has pockets. Easily a piece you could wear in the summer + layer later. So cute with a military jacket & blanket scarf combo. This sweater. I love this sweater. It is definitely on the lighter side but easily could be layered for colder temps. I sized up for a little bit ‘oversized’ look. These high waist flare jeans (TTS) are the softest non PJs I’ve ever worn. Sold & Sold. 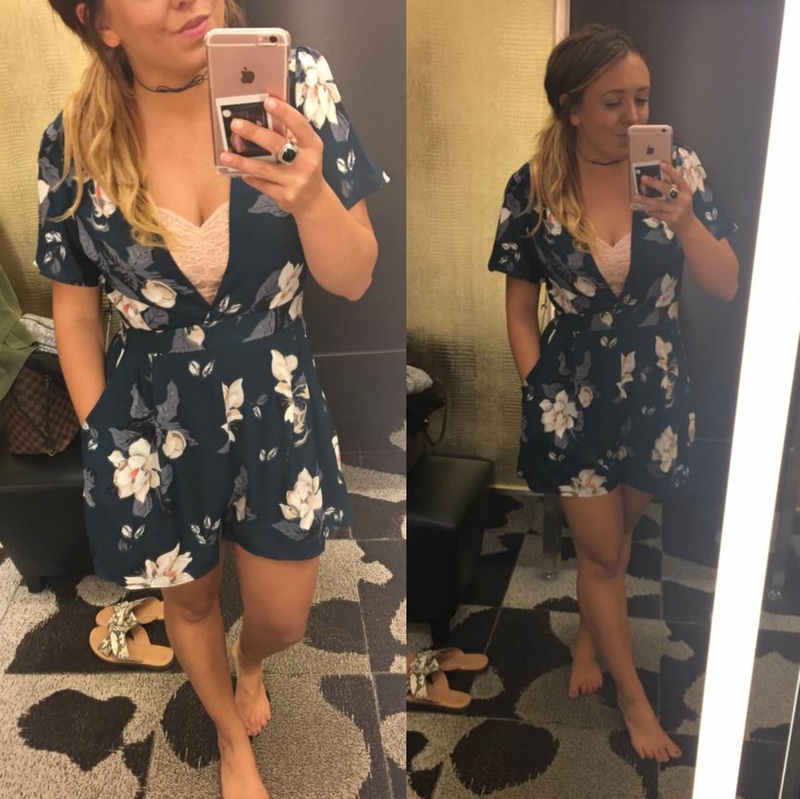 If you’re taller than 5’4″, this would probably need leggings or pants underneath. It will be adorable either way! Petite girls this tunic could easily be a dress. I can’t wait to layer (surprise, right?!). 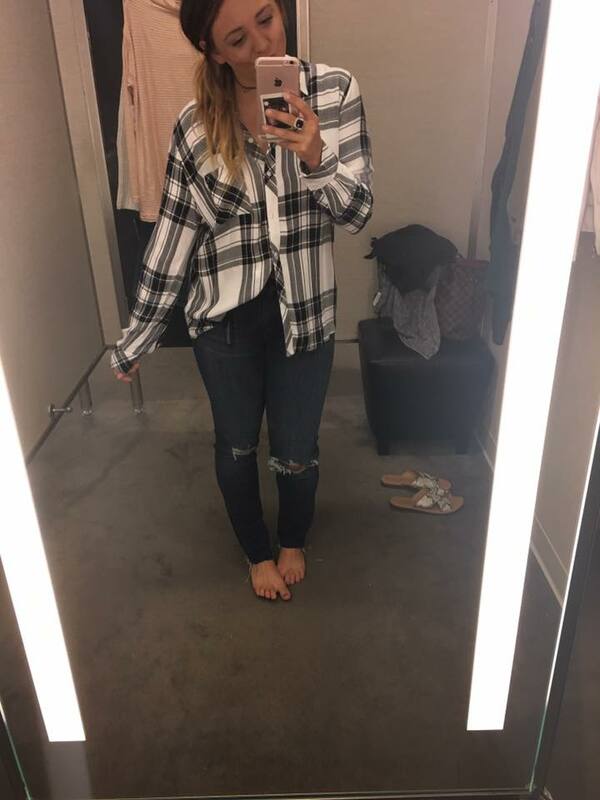 I always hear bloggers raving about these flannels so I had to check them out. Honestly, I don’t think they’re worth it. I would rather stock up on 10 cheaper flannels than splurge on 3 pricier ones BUT if you are the opposite.. these are soft & cute. Just a little pricy, I would suggest sizing up. How fun is this suede number?! Love the bell sleeves. It runs true to size, if you’re between I would size up.